In this article, we are going to outline a straightforward solution for making a DNA model. For this method, the nuts and bolts are: licorice sticks, colored gum drops and toothpicks. Before starting out, it is important to understand what we are going to build. We are going to make a twisted ladder that has uprights and rungs encompassing sugar phosphate bonds and nitrogen bases respectively. Step 1 – Lay all of the required materials on a plain table. 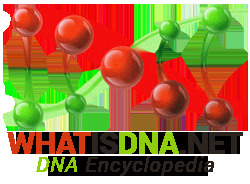 You must have the gum drops available in four different colors to represent the four nitrogen bases in DNA, i.e. Adenine, Thymine, Guanine and Cytosine. Make four groups of colored gum drops based on their different colors. Step 2 – Make a note on the paper of which color represents which one of the nitrogen bases. This will be extremely useful when we start building the consecutive rungs of our ladder. Step 3 – Placing the licorice sticks in an upright position forms the sides of the ladder in our DNA model. These licorice sticks also illustrate the presence of sugar and phosphate bonds. Step 4 – Insert two colored gum drops in a toothpick considering the right combination in which these bases pair up. According to James Watson and Francis Crick’s DNA model, these bases are always present in DNA molecule in such that the quantity of Adenine always equals the quantity of Thymine while the quantity of Guanine is always equal to that of Cytosine. That’s because Adenine always pairs up with Thymine while Guanine with Cytosine. Step 5 – Attach this toothpick to a licorice stick in a fashion that it forms the rung part of our upright ladder with attached rungs model. One toothpick holds one pair of nitrogen bases. Step 6 – Following the same method as above, build another strand of DNA that has a complimentary pair of nitrogen bases. Your color table to match gum drops against nitrogen bases will come in very handy now. Step 7 – Both of these strands form the dual stranded DNA. It’s now time to build more rungs and fill them up with any sequence of right pairs of nitrogen bases. Step 8 – In order to get the effect of a double helix, all you need to do is slightly twisting the uprights of the ladder counter clockwise. You have now made a simple DNA model successfully.